Opened in 1957, Milton Daniel Hall was built as a traditional dormitory on the campus of Texas Christian University. 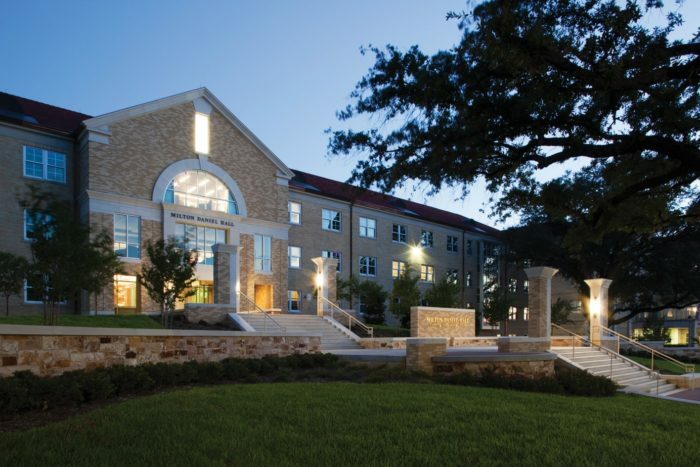 As their student housing needs evolved over the years, TCU initiated a multiyear, multi-building renovation program to modernize their facilities and focus on the university’s long-term commitment to sustainability. The 2010 renovation of Milton Daniel Hall focused on converting a traditional residence hall into an Honors College, offering 68,750 square feet to house 300 first-year and upper-class honors students. Improvements to the facility included a variety of room layouts, study areas, meeting rooms, a hall for study and leisure activities, general activity space, and a private exterior patio for lectures and other functions. 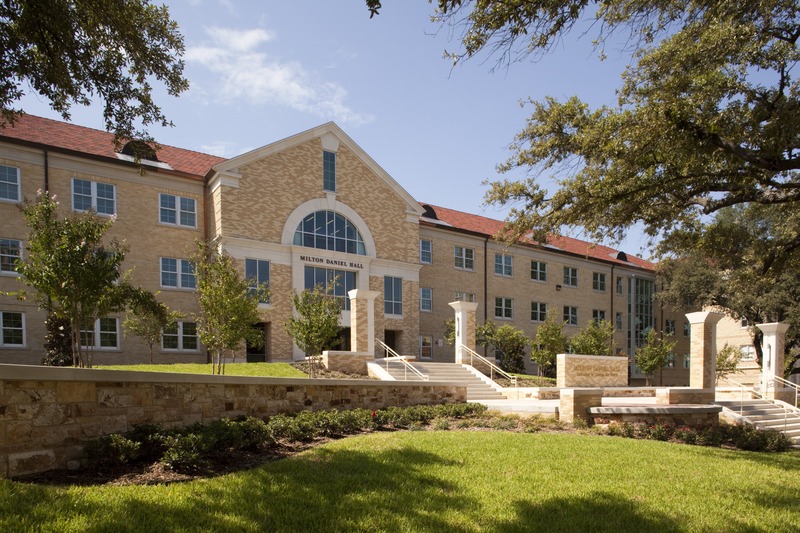 Milton Daniel Hall is home to the John V. Roach Honors College and was the second residence hall on TCU’s campus to earn a LEED Gold certification from the US Green Building Council.